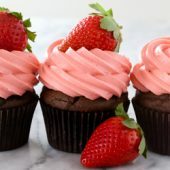 Moist homemade chocolate cupcakes topped off with strawberry cream cheese frosting. A fun dessert for Valentine’s day or any day of the year! You know how sometimes it takes a few episodes to really get into a show? Give it two or three episodes to make a decision on if it’s going somewhere and worth continuing. Of course, after you’ve spent that much time trying to make a decision, you’ve wasted a lot of time if it’s a dud of a show. We started watching The Bodyguard on Netflix. It seriously sucked us in immediately. No wondering if it was good or not. It was good immediately. And of course the intensity and music to go with it just gets your heart racing. If you like suspenseful shows, this one is absolutely worth checking out. It has you thinking and wondering who is doing what and even what secrets people are keeping. I can’t wait to see what happens next. The only downfall is it’s apparently a super short season, but hopefully, like other great Netflix shows, it comes back for a second season… sooner than later. Surprise! Winter is finally making a slight appearance this week. Don’t get me wrong, it’s been cold… very cold at times even. But, we’ve been lacking our usual snow. Most years we’re buried in several feet or more. We’ve seen the grass more this winter than I ever remember from years past. And just when I thought we were heading to an early spring… is it still possible that come March, all of this nonsense will be over and we’ll be moving on to warmer temps… and no snow? One can only hope I suppose. It’s been a weird winter across the country and I’m sure we’re all in agreement, we’re ready for spring. Happy early Valentine’s Day! If there’s one thing you absolutely need to make for your special Valentine(s), or yourself, it’s chocolate. Specifically, these chocolate cupcakes. 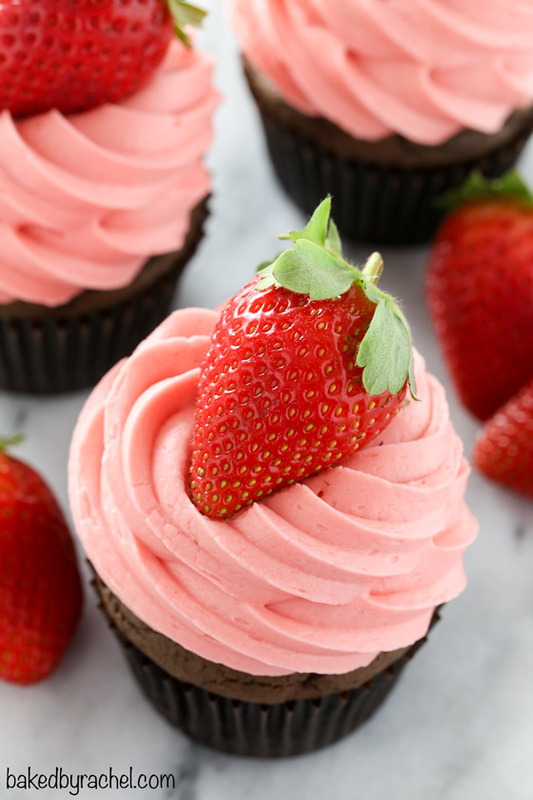 They’re rich and moist, topped off with sweet and tangy strawberry cream cheese frosting. It’s a perfect combination! A fun twist on a classic treat, and one the entire family can absolutely get behind! 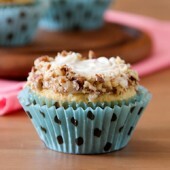 Let’s not forget how easy these are to whip up, making them a no brainer for dessert this week! Make and enjoy for Valentine’s day or any day of the year. 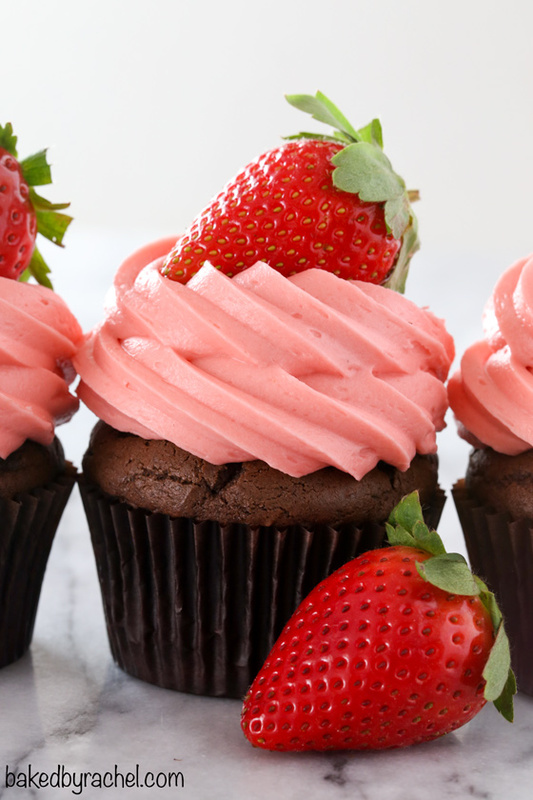 These chocolate cupcakes with strawberry cream cheese frosting are guaranteed to be a hit! 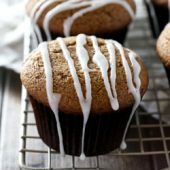 Be sure to add them to your baking plans asap! 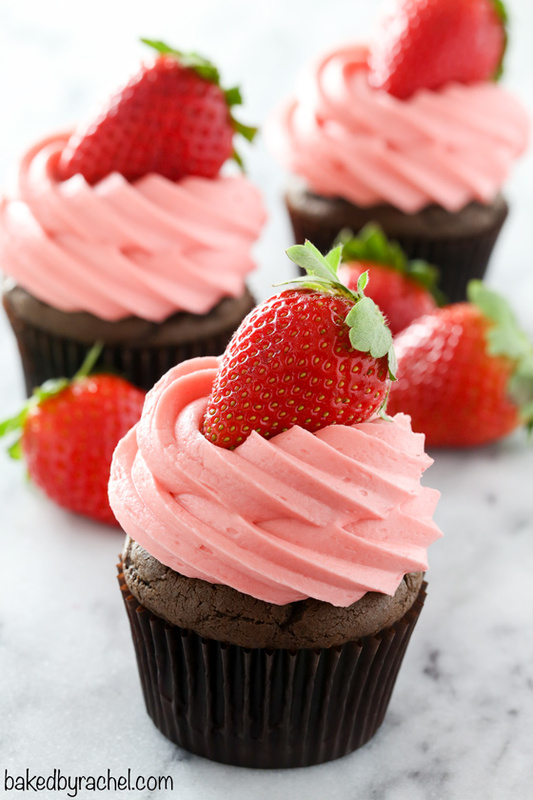 Moist homemade chocolate cupcakes topped off with strawberry cream cheese frosting. A fun dessert for Valentine's day or any day of the year! Preheat oven to 350°F. Line a standard cupcake pan with 9 liners. In a large bowl or stand mixer, cream together butter and sugars until light and fluffy. Mix in egg and vanilla, followed by salt and baking soda. With mixer turned off, add in cocoa powder. Mix on low until fully combined. Scrape bowl as needed. Add in sour cream, followed by flour. Mix until just combined. With mixer running on low, slowly drizzle in milk. Mix until fully combined and no streaks remain. Divide batter equally between prepared liners using a large cookie scoop. Bake for 15-18 minutes or until a toothpick inserted comes out clean. 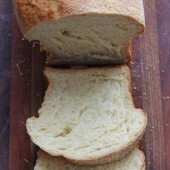 Cool in pan for several minutes or until easy to handle. Transfer to a wire rack to cool completely. When cupcakes have cooled completely, prepare frosting. In a large bowl or stand mixer, beat together cream cheese and butter until fluffy and well combined. Add jam, vanilla and strawberry extract, mixing until just combined. Add 1 cup of powdered sugar at a time until fully combined and desired consistency is reached.. Lastly, if desired, add 1 drop of red gel food color. Mix until no streaks remain. Transfer frosting to a piping bag fit with a piping tip. Frost and decorate as desired. Enjoy immediately or store in the refrigerator for up to several days. A jumbo open star piping tip was used for this recipe.